Do you have a little superhero flying around your house? 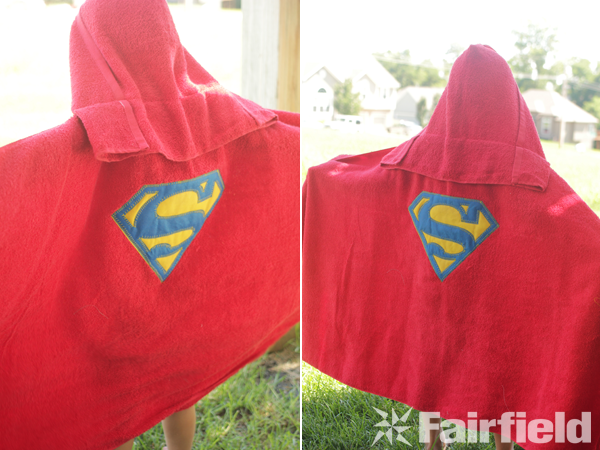 If you do you’ll totally want to whip out these super hero hooded towels. 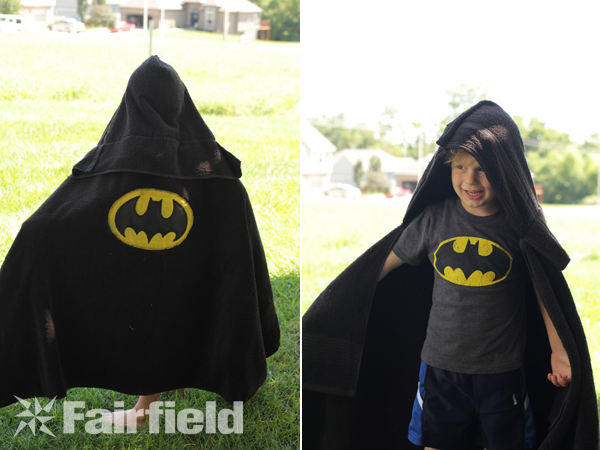 I made these this summer and posted this on the fairfield world blog earlier this year and I’m just now getting around to sharing it here, but guess what we are still using these awesome towels every single night! Do you get into making things in January? I totally do, it seems like the first of the year I get really motivated in general so I start getting my creative crafty self moving. 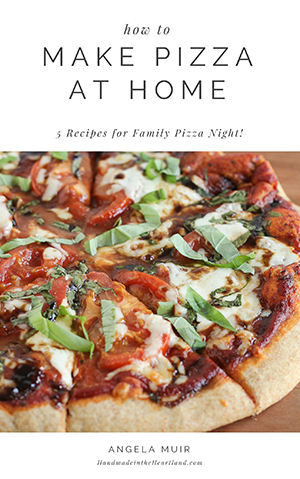 This is a great project to whip up while your sitting at home watching it snow, and it will make your little guy so happy! To create the super hero logos I did an image search for the super hero I wanted to create and saved the image to my computer. 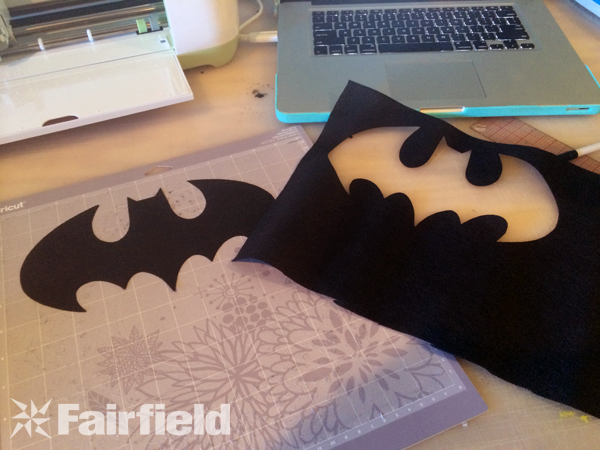 The Cricut explore has a great function where you upload an image and it turns it into a cut file, so simple! If you don’t have a cutting machine you can take the image you want to use and print it out on regular paper then cut it out to use as a stencil. Cutting Oly*Fun is so nice because it doesn’t fray at all and cuts so easily, my Cricut cut through it without any trouble at all! After cutting out the shapes you want to use lay them out on your fabric, because I was making hooded towels I put them in the center back. To do a 2 color image like I did you want to cut out 2 shapes and then layer them on top of each other. It would be the same steps if you were making a cape or tshirt. I used some fabric tape to hold the Oly*fun in place and pinned it to the towel. I stitched the logos to the towels using the overlock stitch on my sewing machine, you could just as easily use a strait stitch. I actually think if I were to do the project over again I might just use a strait stitch because it would be cleaner. 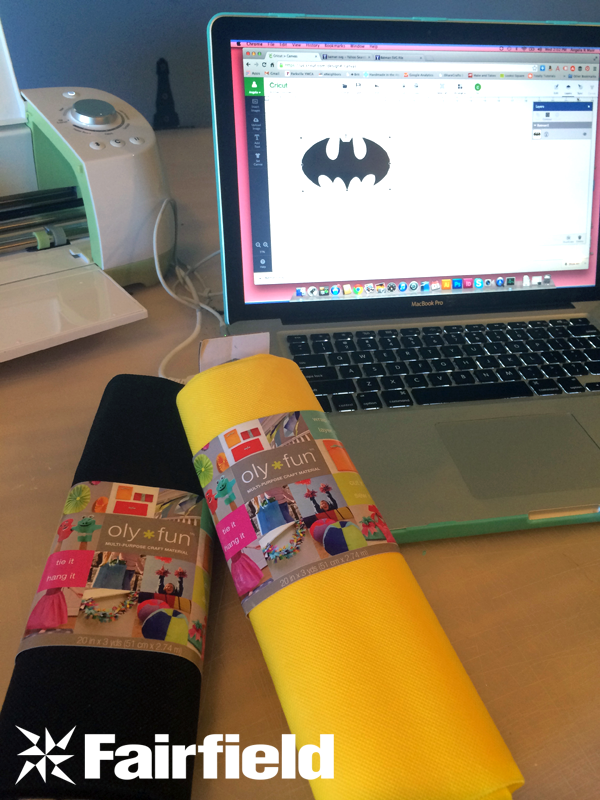 If you have a little super hero at home I know they would love anything with a superhero logo on it! These towels totally solved a problem at our house- this little guy is no longer upset to get out of the bath! 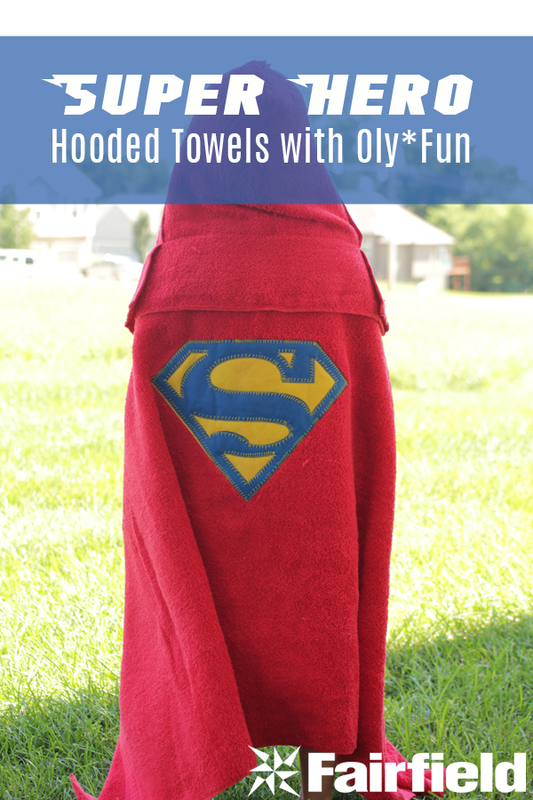 He loves jumping out and running around like Superman or Batman with his new towel!